The Seminole Hard Rock Poker Open (SHRPO), like most major tournaments held these days, gives players an offer they can’t refuse: a $10 million guaranteed prize fund. These guarantees are usually pretty safe for organizers, as they have a fairly good idea of what their attendance numbers should look like before a tournament begins. And if they do fall a little short, everyone is okay with that: the players get a free overlay, while the casinos lose little (if any) money in the end. But sometimes, the casinos miscalculate in a big way. That happened this past week, as the Seminole Hard Rock in Fort Lauderdale, Florida found itself on the hook for $2.5 million after they came up well short of their guaranteed prize fund for the SHRPO. 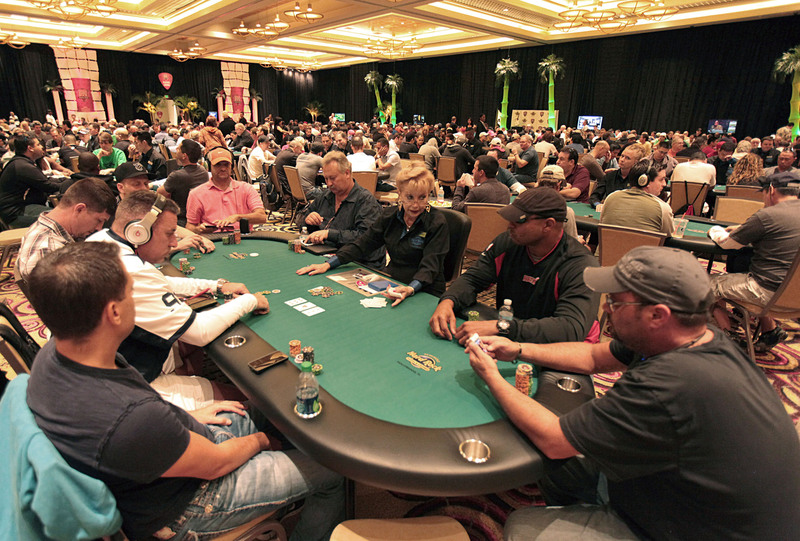 The event had a prize guarantee of $10 million; with a $5,300 buy-in ($5,000 of which went to the prize pool, with $300 serving as the entry fee), it needed 2,000 entries in order to meet that total. Last year, there was no problem: nearly 2,400 entries resulted in a prize pool of about $12 million. But despite using the same multiple starting day format that included reentries, the 2014 SHRPO only attracted 1,499 players. That built the prize pool to $7.5 million: impressive by almost any standard, but $2.5 million below the stated guarantee. For the Hard Rock, that meant they had to put up $2.5 million out of the casino’s coffers, something organizers certainly hadn’t planned for. The failure to meet the guarantee was all the more surprising considering how well poker tournaments have been doing worldwide this summer: a World Series of Poker Monster Stack event drew 7,862 players this summer, a record for any tournament other than the WSOP Main Event, while the Beijing Millions set the record for the largest field outside of the United States this July with 2,732 entries. One issue for the SHRPO may have been the presence of competing tournaments this past weekend, something that wasn’t the case in 2013. The $2,500 buy-in WinStar World River Poker Series Main Event was held in Oklahoma, attracting many players with its $2.5 million guarantee. Meanwhile, the $1,100 Playground Poker Festival Main Event in Montreal surpassed its own $1 million guarantee. While the casino might be hurting because of the missed guarantee, however, the players are certainly not going to complain. The $2.5 million overlay means that players are getting great value for their entries, with the top 300 making the money and the overall winner taking home $1,446,710. The Hard Rock may have to reconsider their guarantee for 2015, or find a new way of making sure they can hit the $10 million target. But for now, the huge prize pool is still going to generate plenty of attention even if it wasn’t entirely built by the players themselves. PokerStars has been promoting and supporting the tournament, and the final table will be streamed nearly live on PokerStars TV. In 2013, the SHRPO was won by professional poker player Blair Hinkle, who won a prize of nearly $1.75 million.